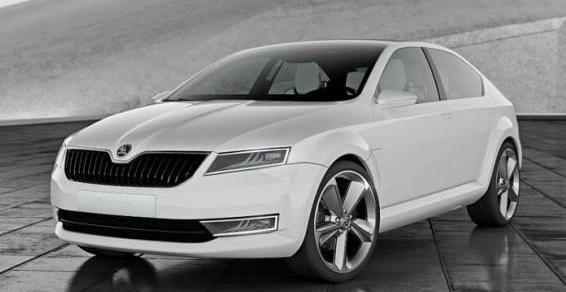 Czech Republic based car manufacturer Skoda will launch a sedan based on the Volkswagen Vento in India around October 2011. The company will name the upcoming sedan ‘Rapid’ and could price it at roughly Rs. 7 lakh for the base petrol version and Rs. 7.80 lakh for the base diesel version. 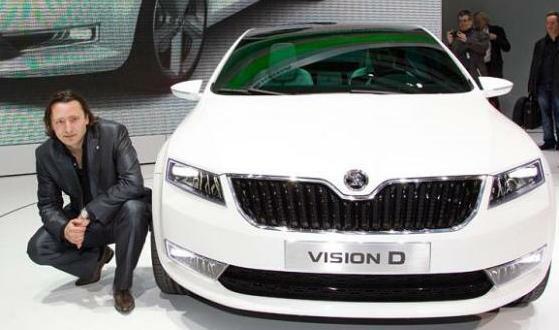 The Vision D concept is the Czech brands’ glimpse into the future and had some traditional Skoda curves, along with new design elements like an off-beat front grille, sharper headlamps and coupe like rear. The Skoda Rapid will be powered by the same 1.6 litre petrol and 1.6 litre diesel engines that power the Volkswagen Vento. The 1.6 litre petrol engine makes 105 PS of maximum power at 5,250 rpm and 153 Nm of maximum torque @ 3,800 rpm. The engine is mated to a 5-speed manual transmission and an optional 6 speed transmission. The 1.6 litre diesel engine produces 105 PS of maximum power at 4,400 rpm and 250 Nm of maximum torque between 1,500 to 2,500 rpm and is offered with only a 5-speed manual transmission. Both the petrol and diesel motors of the Vento are known for inspiring performance and fuel efficiency. The news of Skoda Rapid comes as a breather since it was earlier speculated that Skoda would launch a Fabia-based sedan in India. In November 2010, DWS Auto reported that Skoda may develop a sedan (codenamed SK 125) based on the Fabia hatchback. It was believed this was following the ‘hatch + boot = sedan’ formula that worked wonders for Maruti Suzuki (Swift – Swift Dzire) and Volkswagen (Polo – Vento) but doesn’t exactly leave much scope for designers. Skoda is interested in increasing its market share in India and plans to launch several new cars in the next two years. Back in August 2010, Skoda had announced that the company would launch a small car and an all-new mid-size sedan in India. The small car will likely be priced at around Rs. 3 lakh and will compete with the Maruti Alto, Hyundai Santro and Chevrolet Spark. The Skoda Rapid sedan and the upcoming small car from Skoda will both be manufactured at Volkswagen’s manufacturing facility at Chakan that currently manufactures the Volkswagen Polo, Vento and the Skoda Fabia. Amidst all the models from the Volkswagen Group, Skoda will likely be the volume player with their range and pricing. Skoda Fabia is priced lower than the Volkswagen Polo although they share many components. Similarly all the Skoda cars like the Superb and Laura are less expensive when pit against Volkswagen’s Passat and Jetta respectively. Following this tradition the Skoda Rapid and Volkswagen Vento will share engines and mechanical parts but the Rapid would be cheaper by roughly Rs. 50,000.